The 5th Massachusetts Green Career Conference will be held on October 3 at the Marlborough Holiday Inn. The conference attracts education, business, government and nonprofit stakeholders, and anyone learning about sustainable and workforce development. During the past five years, Massachusetts has passed groundbreaking legislation that has accelerated green economic growth, new education programs, and employment opportunities in clean energy and sustainability. The conference offers 20 exhibits that include college sustainability programs and companies that are hiring: ACDC Auto Careers Development Center for Hybrid & Electric Vehicles, Antioch University, Building Performance Institute, Clark University, Conway School of Sustainable Landscape, Greenfield Community College, MA Department of Environmental Protection, Mass Maritime Academy, MA Workforce Training Fund, National Grid, Next Step Living, NE Home Energy Rating System Alliance, Northeastern University, Solar City, UMass Amherst, and UMass Boston. In addition, there are 45 presenters covering 16 topics: building science, clean energy, climate change, environmental protection, food production, forestry, green chemistry, health and safety, hybrid/electric vehicles, materials management, and water quality. Additional topics include: employer-hiring snapshots, green entrepreneurs, green career pipelines and internships, and workforce training funds for businesses. 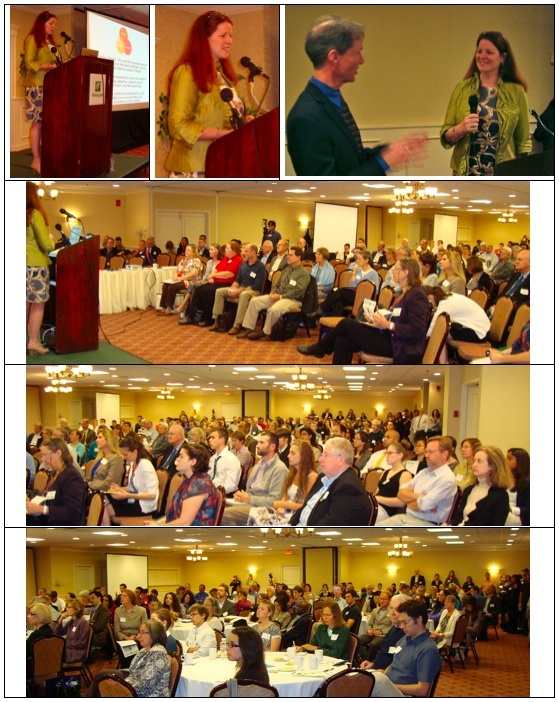 Notable presenters include Ken Kimmell, Commissioner, MA Department of Environmental Protection; Kevin Doyle, Workforce Development Director, NE Clean Energy Council; Wendi Goldsmith, Founder, BioEngineering; and John Andrews, Recruiter, Solar City. The conference is Thursday, October 3rd. Registration and exhibits are open at 8am and presentations begin at 8:45am at the Holiday Inn at 265 Lakeside Ave in Marlborough. Networking and exhibits end at 4 pm. 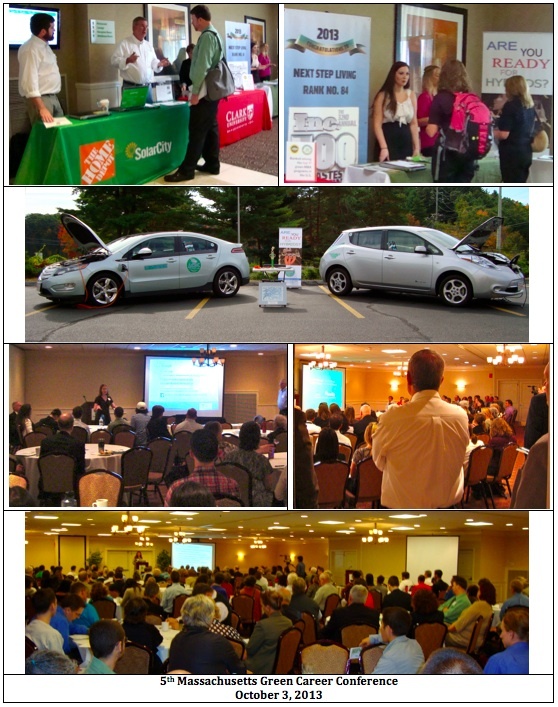 The conference is being sponsored by Green Workforce Training and the Massachusetts Clean Energy Center. Registration ($75, students $45) provides full access to the conference: exhibits, speakers, coaching, networking, roundtable discussions, breakfast, lunch, parking, and wifi. Register early. Previous conferences were sold out in advance. Info at www.MassGreenCareers.org.